Here you will find various links to organizations we have collaborated with as well as links to centers that provide resources for students in the sciences. SACNAS National Conference is one of the largest annual gatherings of minority scientists in the country, the interdisciplinary, inclusive, and interactive SACNAS National Conference motivates and inspires. Showcasing cutting-edge science by the nation’s leading minority scientists and offering a supportive community is what makes the annual meeting a transformative event for all participants. Join us to connect with professionals and students in all disciplines of science, technology, mathematics, and engineering from across the country. The Undergraduate Research Center for Sciences, Engineering and Mathematics and the Center for Academic and Research Excellence work collaboratively to serve UCLA's undergraduate science population. Through various programs the URC/CARE recruits, develops, and celebrates students involved in research. Our mission is to support and increase the retention of science majors in all disciplines, with some programs focused on students who face economic, familial, educational, social or other challenges. The Institute for Pure and Applied Mathematics (IPAM) seeks to bring the full range of mathematical techniques to bear on the great scientific challenges of our time. They sponsor programs that bring together researchers from different disciplines or from different areas of mathematics, with the goal of sparking interdisciplinary collaboration that continues long after the IPAM program ends. Supporting the careers of women and minority mathematicians and scientists is an important component of IPAM’s mission. The Graduate Programs in Bioscience at UCLA provides professional research experience for incoming graduate students in one of ten specialized courses of study, including (but not limited to) Bioinformatics, Molecular Pharmacology, and Integrative Physiology. These programs support UCLA values for inclusion and diversity and seek to develop leaders in the biomedical sciences without discrimination based on race, gender, or background. The Society of Latino Engineers and Scientists (SOLES) at UCLA was created in 1978 to address the low number of Latino students enrolled and succeeding in four-year universities, especially in engineering, mathematics, and the sciences. American Indian Recruitment (AIR)- established with the ideals of promoting higher education and success in academics in the American Indian community. To successfully achieve such an ideal the AIR Program is dedicated towards the successful completion of high school for our student participants. The AIR Program, therefore, offers supplemental educational instruction through tutoring, mentoring, and various activities designed to achieve success within high school and higher education. 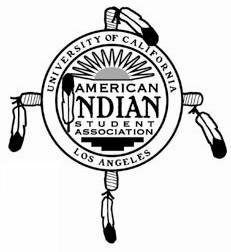 Retention of American Indians Now (RAIN) - RAIN's mission is to increase the graduation rates of all students at UCLA through peer counseling, mentorship, workshops, and wellness programming while facilitating academic empowerment, student empowerment, and holistic empowerment as a means to foster leadership on-campus and in the community. The American Indian Science and Engineering Society strives to encourage American Indians to pursue careers as scientists and engineers while preserving their cultural heritage. The goal of AISES is to promote unity and cooperation, provide a basis for the advancement of American Indians all while providing financial assistance and educational opportunities.